FTDI GPIOs via sysfs - .[ZooBaB]. It is possible to export some pins of FTDI chips as GPIOs in sysfs, so that they are accessible on the shell. I do not support the policy of FTDI to brick counterfeiting ICs via their closed-source Windows driver. Please do not use Microsoft Windows, and use only open source drivers that anybody can modify and inspect. This patch was possible because the source code for the driver is freely available. Now you understand why freedom matters. 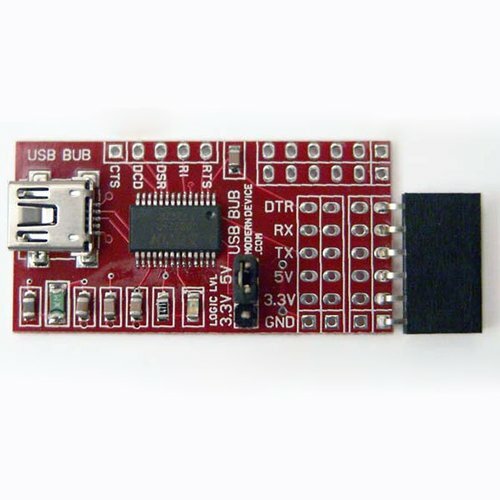 If you want to help and have some FTDI adaptors, I am interested to know if you managed to get GPIOs over sysfs working. 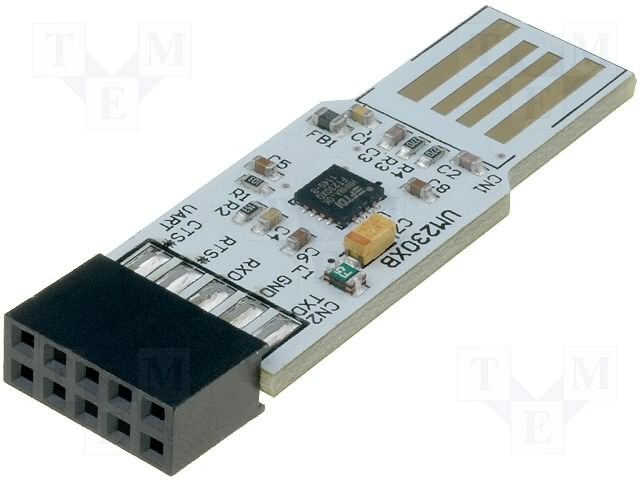 Please send me an email with the model of the board, the pins available as GPIOs, and the voltage output. I patched my 3.16 kernel with it (patch -p1 < ftdi-gpio.patch). I am currently unable to identify any of those GPIO pins! Those pins are in 5V, but you could get them in 3.3V if you build my special USB cable in order to run the Duemilanove in 3.3V. On the Moderndevice BUB1 (based on a FT232R) on I managed to identify 7 pins out of the 8 exported, those are: RX, TX, RTS, RI, DSR, DCD, CTS. 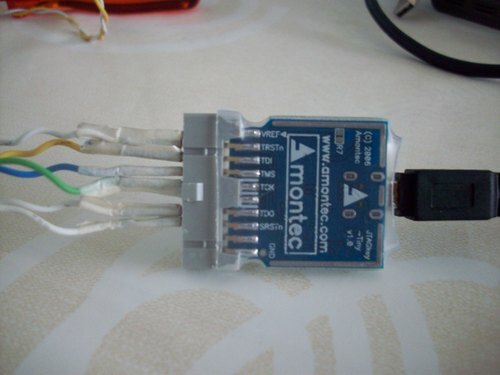 You can actually choose the voltage you want out of those pins (3.3V or 5V) if you play with the jumper. 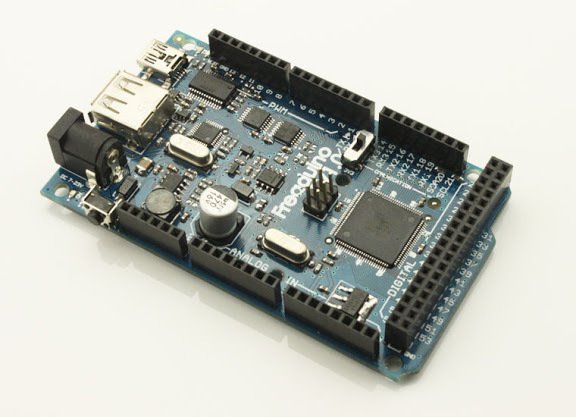 Freaduino is also based on a FT232RL. I was unable to detect any GPIOs. 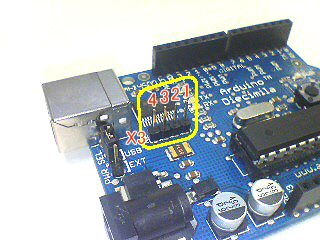 The board is unusable for that purpose, even with the main chip disabled (RST connected to GND). 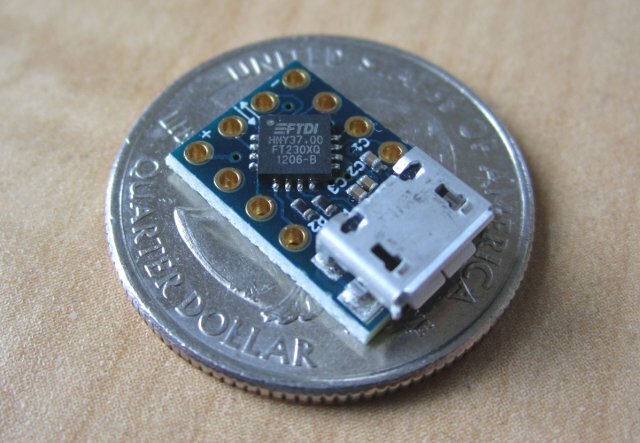 The MicroFTX is based on the FT230XQ. Jim Paris (the creator of the board) has tested the patch and it works fine, as expected. 8 GPIOs show up and 4 are usable. 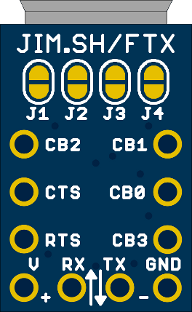 The first four GPIOs correspond to the TX, RX, RTS, and CTS pins, in that order. I bought this dongle based on the FT230XQ chip at Farnell. RX is gpio249, TX is gpio248, RTS is gpio250, CTS is gpio251. I have to investigate on how to use CB0/CB1 as GPIOs, probably by changing their values in the EEPROM.